Despite all the great, cute, and fierce roles she took post-Clueless, the lovely, late Brittany Murphy will always be remembered best as beloved Tai–a quirky little character who had all the qualities of those other roles, packaged into a slightly imperfect bundle. So thanks Brittany, for giving us one of the most likeable characters we’ve come to love. 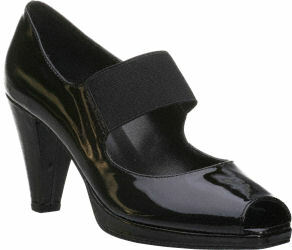 For you, all the best patent Mary Janes; to be worn with over-the-knee socks only. Red Jimmy Choo Kindlepa pump ($492). Colin Stuart patent Mary Jane from Victoria’s Secret ($29). Elie Tahari Sasha pump ($352). Vaneli for Jildor Danby black patent pump ($75). 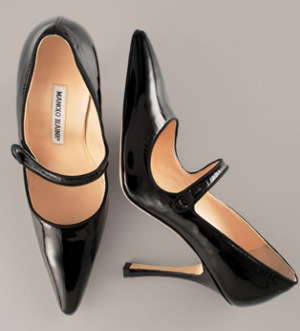 And what else to end with, but the legendary Manolo Blahnik black patent leather Mary Jane ($645)?